Singleton Historical Society was formed over 50 years ago in November 1960. The Society serves the community through operating, maintaining & supporting historical research. The main Historical Museum is based within the old Council Chambers (formerly lock-up cells) built in 1874. We have a wide variety of interesting artifacts including Singleton's first ambulance cart, convict bell embedded in tree trunk, handicrafts and furniture. The Museum has something for everyone. Our Records and Research Room has an extensive Library, Photographic Collection, Parish Maps & Documents dating back to early 1800's. 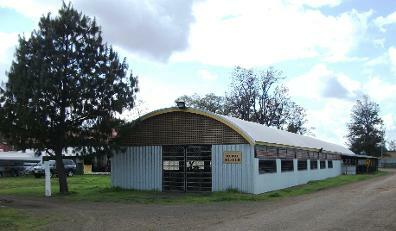 The Rural Museum at Singleton Showground has a huge range of heavy Rural Farm Machinery dating back to last century. Come & join us. We welcome new ideas and value enthusiasm from members and volunteers, new and old.